We have selected the most appropriate blend to get the best result in compliance with the standard of Espresso extraction, even in pods and in capsules compatible FAP and Nespresso®*. 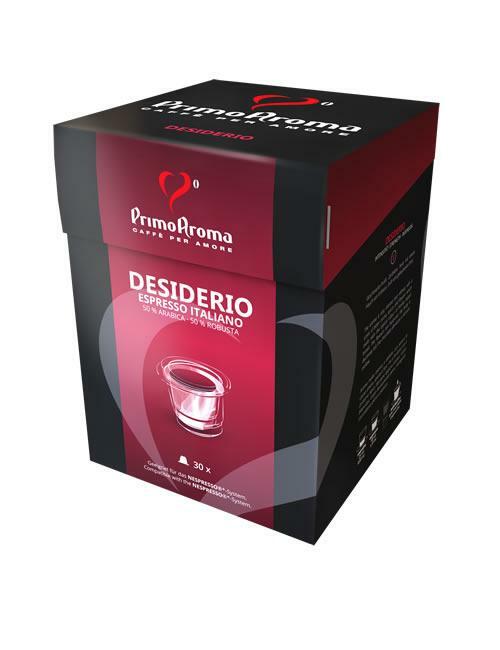 *Nepresso® is a registered trademark from SOCIETE’ DES PRODUITS NESTLE’ S.A.. 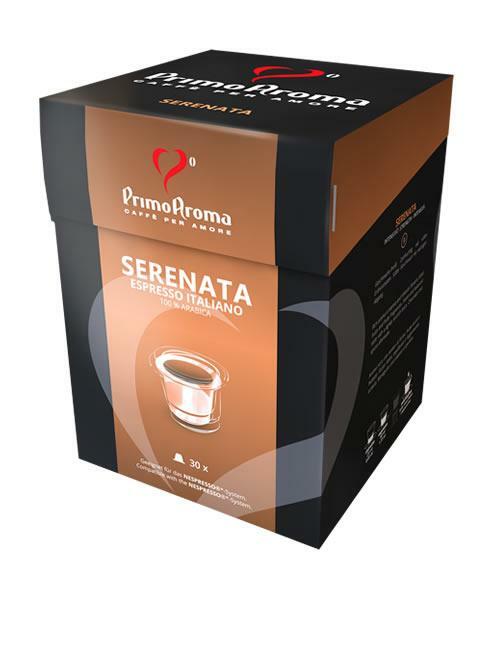 This trademark does not belong to Primo Aroma srl neither by any other affiliated companies. 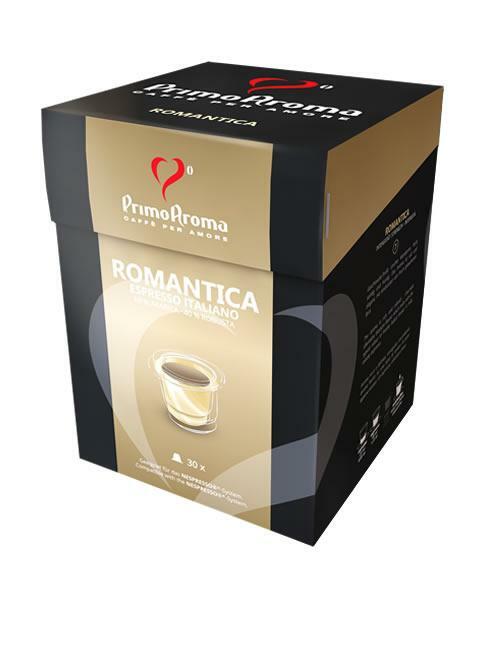 Primo Aroma srl in not connected in any way to SOCIETE’ DES PRODUITS NESTLE’ S.A.
Made out of the finest washed and natural arabicas qualities, with a touch of washed Asian arabica qualities, is the ideal blend for coffee professionals. Results sweet and elegant thanks to the accurate selection of the raw materials and to its medium-to-intense roasting level. Its body and fullness are perfectly balanced. Made out of the finest washed and natural arabicas qualities and washed Asian robustas qualities, is one of the best blends for coffee professionals. The body is full, thanks to the best robustas coffees available on the raw coffee market. Its roasting level is medium-to-intense. Made out of the finest natural African, natural and washed Asian and the best Arabic, Brazilian and Center-American robustas qualities, is the perfect blend for a delicious cappuccino or latte macchiato. The optic selection of the robustas qualities utilized, and the intense roasting level, make it perfect for who is looking for an intense coffee, with an intense aroma of bitter cocoa, with a particularly long aftertaste. 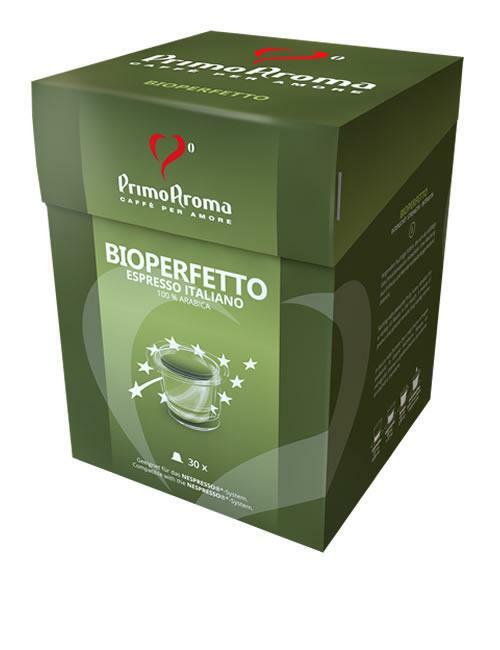 Primo Aroma Bioperfetto is a selection of 4 different types of high quality arabicas, 100% BIO. Extremely sweet and refined, thanks to the high quality of the raw materials utilized and to its medium-to-intense roasting level. 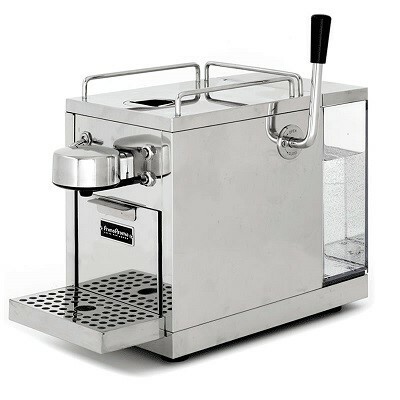 A stainless steel coffee machine projected by Primo Aroma, compatible with Nespresso®* system.